Check out this urban fantasy book by author Azaaa Davis, then be sure to enter the giveaway for a signed book or one of four Amazon gift cards. Open worldwide through 12/13. Good luck. When demon hunting is outlawed, it's time to resurrect a legend. Not even death can stop her. Fearsome demon hunter Nadira has been torn from her next life and resurrected in present-day New York. The demons she once battled have made peace with humans. Or, so they claim. But brawls between demons and humans are becoming more frequent, and human leaders are disappearing. Tasked by the shadowy organization that trained her, she must battle her own personal trauma and once again fight for the souls of mankind. Will Nadira remain a beacon of light to those fighting for humankind? Or will she lose her humanity to the darkness within? Don't miss This Time―the first novel in the Nadira Holden, Demon Hunter series―by author Azaaa Davis! 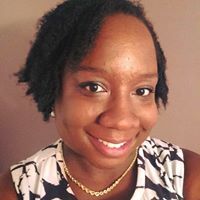 Azaaa Davis is a writer of urban fantasy novels. She fell in love with reading as a high school freshman and continues to read, write, and draw today. Her background in social work helps her portray realistic characters in fantastic--and sometimes terrifying--situations. A New York native, Azaaa currently lives in New Hampshire with her husband and daughter. 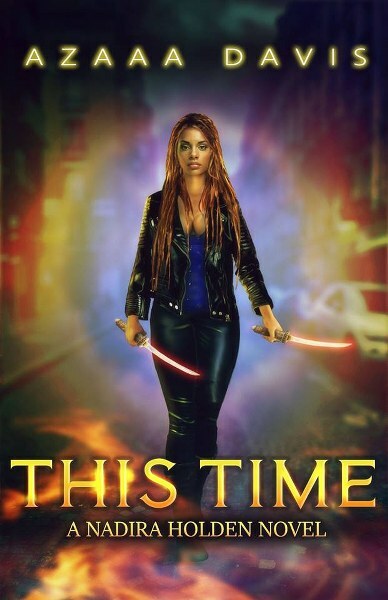 She debuts with This Time, A Nadira Holden Novel, about demon hunters, family ties and the magic of love. Azaaa is working diligently to finish writing more fantasy novels while raising her daughter. Her next book is expected to be released in early 2019. Thank you for showing an interest in her stories! The cover looks great and the blurb about the book really grabs my attention.